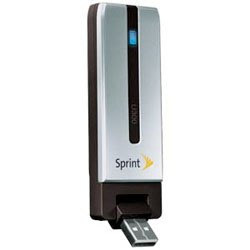 Sprint announced the Sprint 4G U300 today (by Franklin Wireless). This is the first dual mode 3G & 4G device on the market. Currently, 4G is ONLY available in Baltimore. The device will cost $199.99 (on 2 year plan) and the monthly will be $79.99 for EVDO and 4G. It is unclear what the limits will be (most likely 5GB as there is now on mobile broadband). The device is NOT Mac compatible, which is strange, since all other Franklin devices have been Mac compatible out of the box. Most likely, due to the 4G network - as there is currently no Mac support.